According to the latest Ulster Bank Construction Purchasing Managers Index (PMI), new order growth continued to expand in December, with housing and commercial development experiencing substantial growth, but civil engineering continued to lag considerably behind the other sectors. However, overall the Irish construction sector continued to expand on the previous months. The Irish construction sector ended 2016 on a positive note, with activity continuing to rise sharply amid a faster expansion of new orders. Rates of job creation and growth of purchasing activity remained substantial and firms were strongly optimistic that activity would increase further in 2017. That said, the rate of input cost inflation accelerated sharply to the strongest since March 2007. 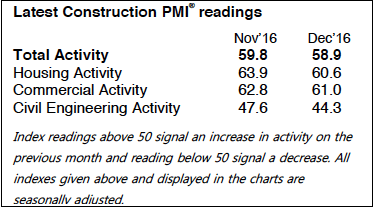 The Ulster Bank Construction Purchasing Managers’ Index® (PMI®) – a seasonally adjusted index designed to track changes in total construction activity – posted 58.9 in December, down slightly from the reading of 59.8 in November but still signalling a substantial monthly increase in activity. Construction activity has now risen in each of the past 40 months, with panellists mainly linking the latest expansion to higher new work volumes. 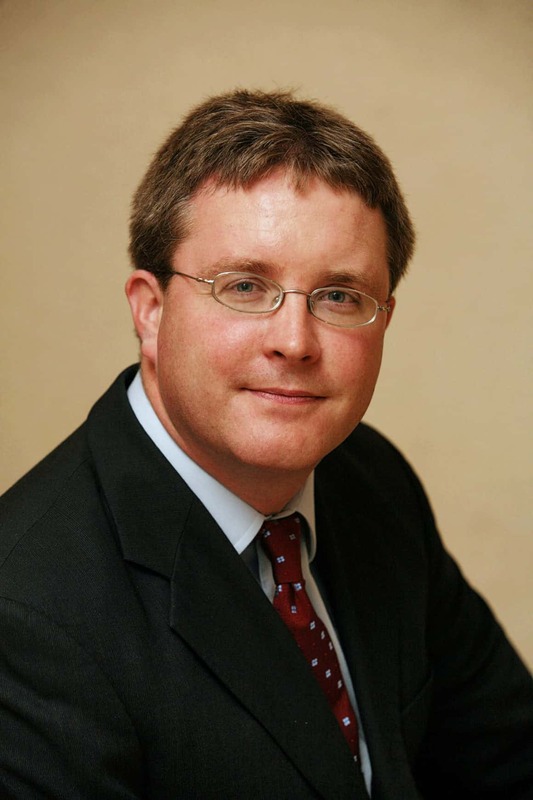 Commenting on the survey, Simon Barry, Chief Economist Republic of Ireland at Ulster Bank, noted, “The December results of the Ulster Bank Construction Purchasing Managers Index survey indicate that Irish construction firms continued to experience sharp increases in activity last month. The headline PMI was recorded at 58.9 in December, down slightly from November’s 59.8 but still signalling robust expansion of activity. Both the residential and commercial sub-sectors remain particular sources of strength for survey respondents, with activity in both categories continuing to rise at rapid rates, albeit slightly less rapid than was the case in November. Civil engineering remains an area of weakness, however, with activity here decreasing for the second month running." Rising workloads led construction firms to increase their staffing levels again at the end of the year. Moreover, the rate of job creation remained substantial and was broadly in line with the nine-month high seen in November. Likewise, firms increased their purchasing activity sharply, extending the current sequence of growth to 34 months. The rate of input cost inflation accelerated sharply during December and was the fastest since March 2007. Panellists reported higher prices for raw materials and manufactured goods. A further deterioration in the performance of suppliers to the construction sector was recorded in the Ulster Bank Construction Purchasing Managers Index, with the latest lengthening of lead times the greatest in ten months. Business sentiment improved at the end of the year and was strongly positive. 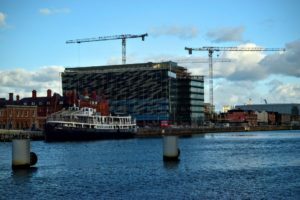 According to respondents, improvements in the construction sector and wider Irish economy are set to help lead to growth of activity over the coming year.